It's hard to get gorgeously made up when you're poor, as cosmetics all cost a fortune these days. And the older one gets, the more you need it seems. Personally, I just make do with one or two steps and that's it. Of course I'll never be considered for a magazine cover, but that's okay. Rosie Watson has her own branded skincare products and is "head of the beauty department at a leading London college", so I'm sure she knows what she's talking about when it comes to make-up. Her book is not only for those of us who would like to make ourselves up a little more creatively or naturally, but also for any aspiring make-up artist or stylist. She shows which "tools" (and for some of us they really are "tools") are useful for which job, talks about skin problems and how to treat skin from the inside (eat properly and drink water), the different skin types, and the different stages and ages of skin. All very interesting. Watson goes through each facial section (eyes, cheeks, lips) and also offers great advice for men, and she also offers advice for a professional look. Knowing how to cleanse, moisturize, feed, and protect one's face will help us make the most of what we have. When it comes to putting color on your face, Rosie explains all about the different skin tones (pale, olive, mocha, etc.) and how to apply everything you want to use. This is definitely not a make-up only book as you'll learn all about the inner and outer workings of the skin, face, and head. 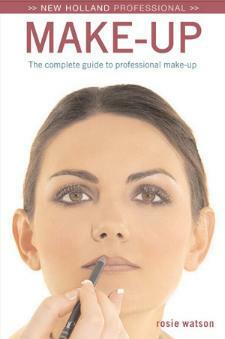 Conclusion - Exceptionally interesting to all women who like make-up or are interested in making the most of their faces. Men, too, I think. Can Rosie recommend a good brand of tinted moisturizer for dry skin?